This project was undertaken jointly with GSP Group and Patty Lynes as the landscape architect. 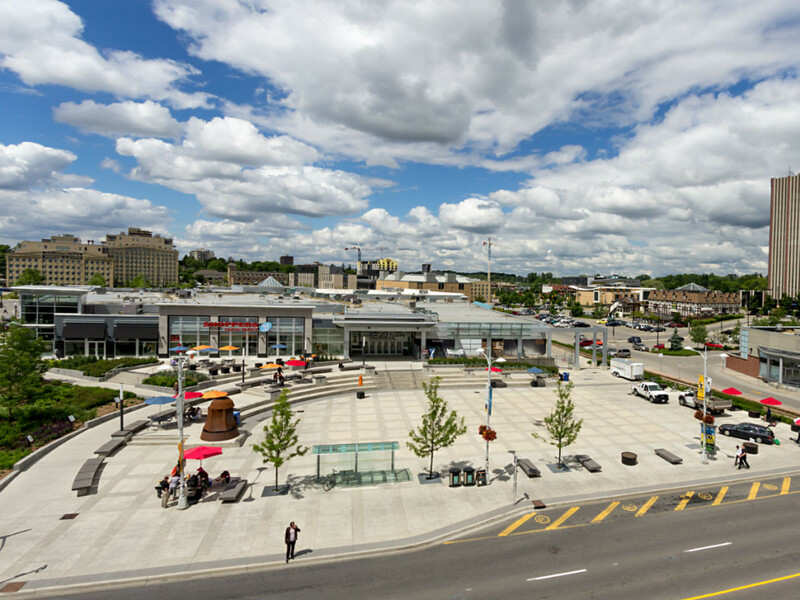 The objective was to create the first and only multi-use, public and civic square for Waterloo City Centre, its citizens and visitors. 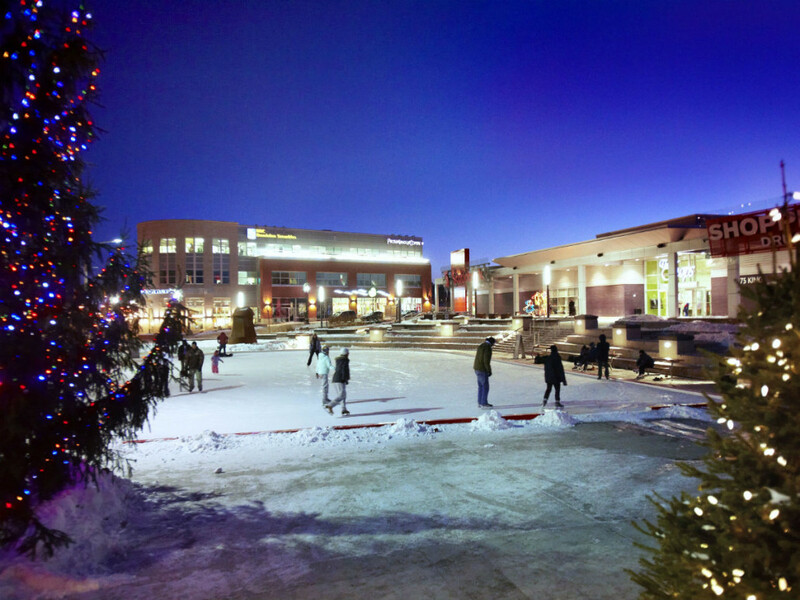 The design brought together the influences of the adjacent commercial and public interests and incorporates the City’s main street while replacing a parking lot. 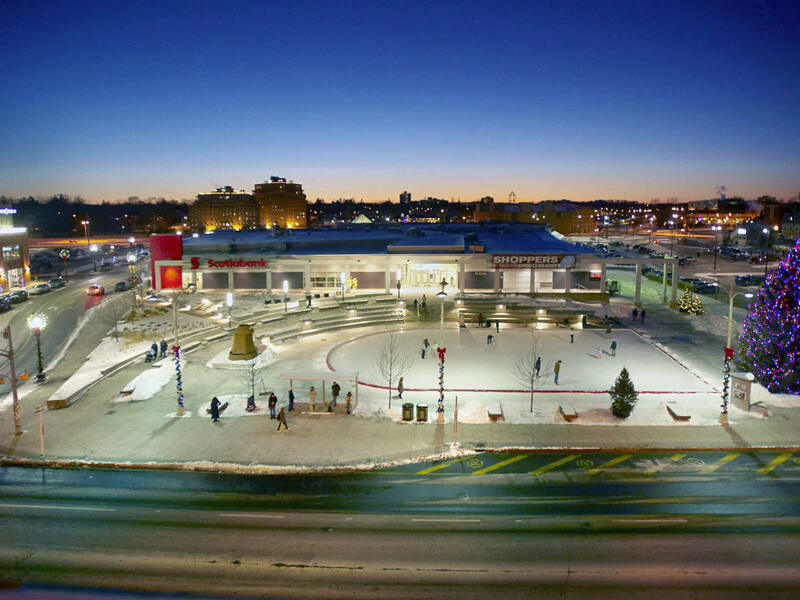 The space combines public open space for events and is wired and plumbed for concerts, skating, exhibitions and public gatherings all year around. The city residents have embraced the square where the local culture had none. The uses and popularity are evolving as the square is discovered and enjoyed. 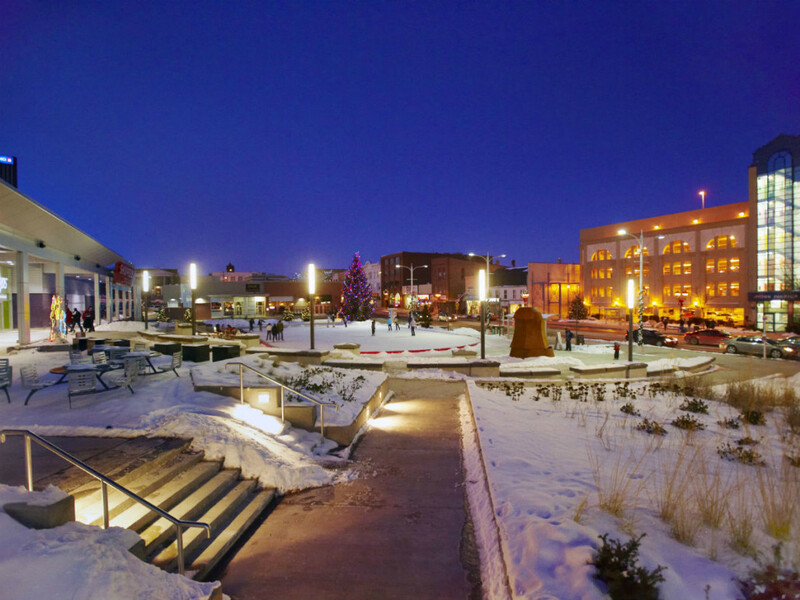 The design has been recognized with a National Urban Design Award in 2010.